With oil prices up slightly on Tuesday, analysts are warning investors to remain cautious while suggesting that a correction could be near. 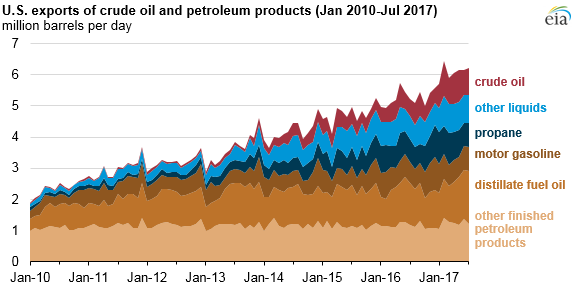 - The U.S. has been a major refined product exporter for years, but exports have jumped in the last three years. - The lifting of the crude oil export ban at the end of 2015 has opened up exports for crude. - U.S. crude oil exports have surged this year, jumping an average of 300,000 bpd in the first half of 2017 compared to the same period a year earlier. - Kosmos Energy (NYSE: KOS) signed three production sharing agreements with Equatorial Guinea, Kosmos’ first foray into the country. The contracts cover offshore exploration, and Kosmos will hold an 80 percent stake in them. - Sanchez Energy (NYSE: SN) saw its share price jump more than 2 percent on Monday after revealing third quarter production increased 43 percent year-on-year. - Chevron (NYSE: CVX) approved an investment to increase production at its Captain oilfield in the North Sea. The company will use a new water-injection technology, the first time it has been used at such a large scale in the North Sea. Oil majors expected to report bumper profits. A highly anticipated wave of earnings reports are approaching, and analysts expect the oil majors to report a significant increase in profits for the third quarter. According to FactSet, and reported on by the WSJ, the five largest western oil companies are expected to report nearly $13 billion in profits for the third quarter, a jump by about a third from the same quarter in 2016. The improved financials are a reflection of the ongoing cost improvements from the oil industry, even as WTI oil remains stuck at $50 per barrel. 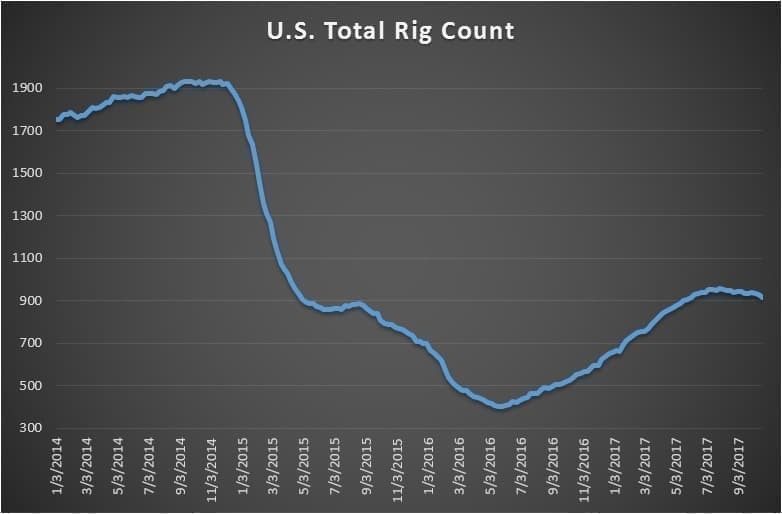 However, analysts will closely watch production figures to assess whether or not drilling is slowing down. OPEC signals extension through end of 2018. In its strongest indicator yet, OPEC suggested that Russian President Vladimir Putin’s comment about extending the production through the end of next year would be the basis for upcoming negotiations ahead of the highly-anticipated meeting in Vienna on November 30. An extension is not a done deal yet, but the comments from OPEC officials are the strongest yet. Midwest refiners break dependence on Gulf Coast. Cheap oil from Canada and North Dakota have provided enough supply for Midwest refiners, allowing them to break their historical dependence on fuel from the Gulf Coast. According to Reuters, crude flows from the Gulf Coast to the Midwest has been cut in half since the early 2000s, largely due to a surge in supply from the Bakken and Alberta. This new arrangement has worked to the benefit of companies with refining assets in the Midwest, such as Marathon Petroleum Corp. (NYSE: MPC), Phillips 66 (NYSE: PSX), BP (NYSE: BP) and Husky Energy (TSE: HSE). “Ten years ago, we were 1 million barrels per day short on products, with the Gulf Coast supplying the product. Today, the midcontinent is flush with products,” Marathon Petroleum CEO Gary Heminger told Reuters. Oil could be moving into higher range. According to Reuters, oil prices have gained even as hedge funds and other money managers have stepped up short bets, a sign that the oil market has improved and can withstand a wave of shorts. That could be a harbinger of oil moving up into a higher trading range. Venezuela misses debt payments. Venezuela has missed seven interest payments this month totaling over $590 million, raising fears of an imminent default. On October 27, a much larger $984 million interest payment comes due, a test of whether or not the South American nation can ride out the current economic crisis. “Among the immediate effects of a PdV default would be a shutdown of the crude and refined product imports on which the Opec country increasingly depends. Exports and oil tankers would be at risk of seizure,” Argus Media reported. Australia sees rising natural gas prices from LNG exports. Australia has become one of the largest LNG exporters in the world, with a handful of truly massive export terminals recently coming online or currently under construction. 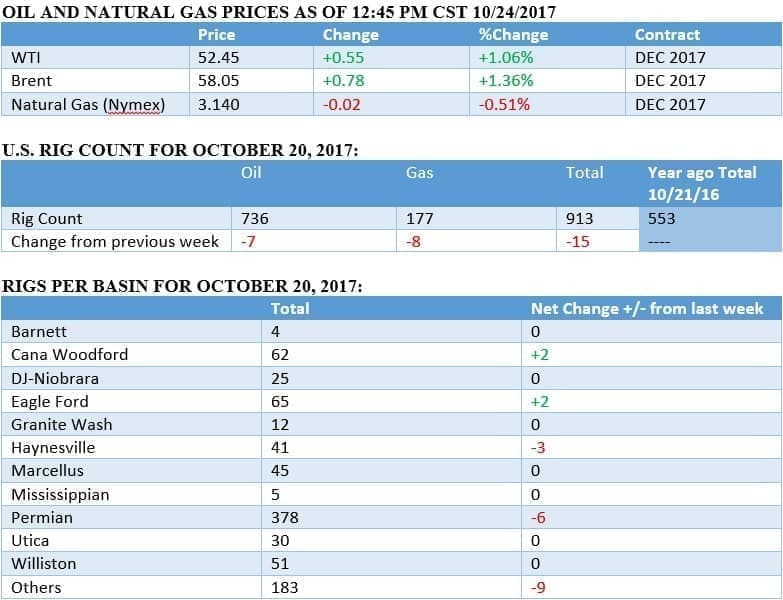 The spike in exports has led to a significant rise in the domestic price for natural gas as more volumes are diverted abroad. Since the startup of Queensland Curtis LNG (a project headed up by Royal Dutch Shell), Australian natural gas prices in the eastern and southeastern hubs have doubled. China’s oil demand could be stronger than the market thinks. According to satellite data, China might actually be stashing oil in its strategic reserve at a smaller rate than everyone believes, Barclays wrote in a note. The implication is that China is actually consuming more oil than official data suggests, a very bullish development if true. “It implies that China’s refinery runs and end-use consumption may be understated, and that global balances are tighter than consensus and our own forecasts,” Barclays analysts wrote. BP had 27 serious safety incidents in Alaska. According to undisclosed emails obtained by BuzzFeed News, BP had at least 27 serious incidents in Alaska this year, including five “that risked the lives of dozens of workers.” BuzzFeed obtained internal emails that suggest that the oil major still cuts corners in its projects, creating safety problems. BP’s Alaska President Janet Weiss sent an email to staff in September, after a gas leak that required staff to evacuate, saying that “If there had been an ignition source, we might have lost colleagues.” Weiss added: “We must change now; we must have a reset,” Weiss added. The higher, the better. That way oil will be replaced faster by alternative fuels and power and oil execs will burn. Rise baby rise!!!! !